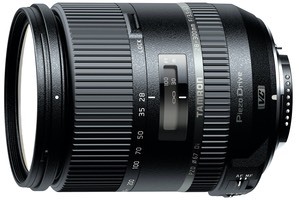 Tamron today announced an update to its 28-300mm f/3.5-6.3 lens (for FX cameras). The new lens gets a number of tweaks, including Piezo Drive motors for faster focusing, a hybrid aspherical element, a smaller and lighter design, plus new BBAR coatings. The new lens is US$849 and will ship on June 26th.